PR: Mac OS X 10.6 "Snow Leopard" refines the elegant Mac OS X user experience with lots of little touches and performance improvements that will make using your Mac even more enjoyable. It also includes a few big foundation technologies designed to tap the power of today's computer hardware and provide a strong base for innovation. If you purchased a qualifying system or Xserve on or after June 8, 2009 that does not include Mac OS X Snow Leopard, you can upgrade to Snow Leopard for $9.95. "Many people looking forward to these features may wonder if their machines meet the requirements for running the much-touted features of the new OS." Editor's note: Mac OS X 10.6 requires an Intel CPU, and Grand Central Dispatch (GCD) requires two or more cores (the only single-core Intel Mac was the Core Solo Mac mini, and its CPU can be replaced with a dual-core one). All Macs designed around Intel Core 2 Duo and later CPUs support 64-bit operation; however, Core Duo Macs upgraded with Core 2 Duo CPU cannot take advantage of 64-bit computing. Only the first generation of Intel Macs used Core Duo CPUs. "Apple last month saw Mac sales that were fairly inline with those achieved last year while sales of iPods were hit with double-digit declines, according to new retail data released Monday." "How much would you pay to use Windows? Yes, I know, you'd have to be paid to use it. But the next best thing is free. But, of course, you still need Parallels or VMware to run it if you don't want to go down the BootCamp path, and they're not free. But now the third, little heard of virtualization player, VirtualBox, has matured and to such a point it can run Windows 7. And it's free. With it and Windows 7 free (for the time being), you've got a great opportunity to try out virtualization...."
"When it comes to web browsers for Apple's Macintosh computers, there are a lot more choices out there they you may realize, including at least four Mozilla-based and, would you believe it, seven WebKit-based products. And, that's just the beginning!" "So I have been experiencing the limitations and flaws of Apple technology in low-bandwidth situations for many years now, and I am afraid the latest 'improvement' in Safari 4, namely the replacement of the blue progress bar in the address bar with a spinning wheel, is yet another illustration of the fact that Apple does not care about the needs of users in low-bandwidth conditions...."
"I recently bought a 13-inch MacBook. And I'm giddy a like a school girl about it. "But rather than just wax poetic about the joys of Apple, I wanted to share my journey and a few of the things I learned about myself along the way. "So what changed? A couple of things conspired to get me back to Mac...."
"O'Brien also muses about comparing the old PowerBook 520c, which he still has, to his new MacBook, noting that it booted right up. He says he paid about $3,800 for the PowerBook including a printer and a monitor, but for about two-thirds of the price paid 14 years ago, he got a machine that measures processing power in gigahertz rather than megahertz and has 250 GB of memory compared to the 160 MB, observing that "deflationary power still stands as one of the most remarkable achievements of our age." The Star Tribune answers a reader question about retrieving data stores as ClarisWorks files on floppy disks. "When Apple released the new MacBooks with the Mini DisplayPort connectors, the options for using them were quite limited. Namely, while Apple's own 24-inch cinema display was built to solely work with this connection, when paired with desktop computers many people found the cable to be too short for their setups." "An intriguing but widely overlooked feature released with Mac OS X Leopard is the ability to share screens wirelessly with other computers in a super fast and easy way. This can be incredibly useful when you want to collaborate on a project together with someone else, or if you're running several computers in different rooms around the home or office. "In this tutorial I will explain how to set up screen sharing, ensure security is fully considered, and outline how it can be done even if you don't have a WiFi connection available." Seeking Alpha's Steve Birenberg reports that SNL Kagan, which publishes the Dow of Steve blog, recently had an article discussing lower prices initiated by Apple in the Mac and iPhone product lines, and also quotes Martin Lindstrom, brand consultant and author of "Buyology" comparing Apple brand loyalty to religion, and observing that when a study he helped conduct scanned the brains of both Apple fanatics and people who professed a strong faith in Christianity, the same regions in both groups' brains were activated. Link: Apple as a Religion? 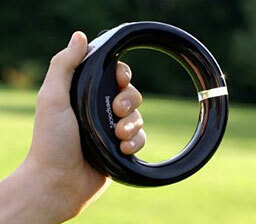 PR: The Loop pointer is the in-air mouse that moves your cursor with natural hand motion. Simply point and click on the TV that's connected to your PC or Mac. Use the Loop pointer just like a mouse while you browse the Internet or view your own media content. The distinctive ergonomic design has just four buttons and a scroll wheel. The first in-air remote designed specifically for the "10 foot experience," the Loop pointer with your computer dramatically expands what you can enjoy on your big screen TV. Using your computer's USB 2.0 port, it requires no extra software or drivers. The fast wireless connection even works across large rooms and through closed cabinet doors. With your PC or Mac connected to your TV, the Loop pointer adds the finishing touch to your family room entertainment. Access video sites like Hulu and YouTube. Watch movies from services like Amazon Video on Demand and Netflix. Control applications like Windows Media Center and iTunes. 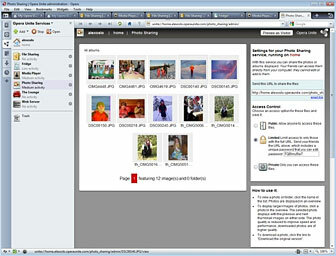 Watch videos downloaded to your computer, or view your own videos and photos. The Loop pointer incorporates Freespace motion sensing technology from Hillcrest Labs. This patented technology handles complex tasks to compensate for hand tremor and varying orientation while responding to the motion of the Loop pointer. These complicated algorithms result in an simple, natural experience that is easy to use. The Loop pointer is also a valuable tool for presenters and educators who use PCs and Macs connected to projectors. With the Loop pointer you can control presentations, navigate web pages and more from anywhere in the room. The Loop pointer works with computers running Windows, Mac OS or Linux. It works with Sony PlayStation 3, and while it will not control games, it is well suited for the built in web browser. The buttons on the Loop pointer correspond directly to the buttons on your mouse, trackball, or other pointing device. The left button, right button and scrollwheel do exactly what those buttons do, as defined by Windows, by Macintosh OS X, or by the program you are using. You can enter text with the Loop pointer using the onscreen keyboards included with Windows and Mac OS X. Open System Preferences and select International. Select Input Method. Make sure Keyboard Viewer and Show input menu in menu bar are checked. A flag or character appears in the menu bar. To use the onscreen keyboard choose Show Keyboard Viewer from this menu. Use your wrist to move the Loop pointer. This gives you better control over the Loop pointer than moving your whole arm. Freespace technology enables the Loop pointer to track motion, so the cursor on the screen follows the movement of the Loop pointer in your hand. So you can hold your hand in the position that is the most comfortable for you. Move your hand and the cursor moves just the way you expect it to. To save battery power, the Loop pointer and the USB RF transceiver go into a sleep state when there is no movement for a while. The cursor may disappear during sleep state. The cursor appears and reacts as usual to your movements when you move the Loop pointer or press a button. System Requirements: The Loop pointer has been tested using USB 2.0 ports with Windows XP, Windows Vista, Windows 7.0 (pre-release), Mac OS X, and Linux operating systems. The Loop pointer uses the standard mouse support built into these operating systems and requires no additional software or drivers. The Loop pointer may well work with other operating systems not tested by us that support standard mouse controllers. PR: Computer use has infiltrated every aspect of our lives, and we have become dependent upon the computer for daily living. The computer has become a tool more so now than ever before. Therefore, computer-related injuries are on the rise. Summer, winter, spring, or fall - no matter which time of year - we need to use the computer in ways to keep us healthy and free from computer-related injuries. Warm Mouse Heated Keyboard announced its official launch for using the computer in healthy ways any time of year. There's computer ergonomic news written daily about the warnings of long-term computer usage. Just like the telephone and TV, if the home does not have a computer, people miss important communications! But using the computer properly is the key to long term, healthy living. "The use of the computer is not going to fade or go away anytime soon. Make the computer work for you, not harm you," said Owner of Warm Mouse, Heated Keyboard, Anna Miller. Warm Mouse Heated Keyboard has a mission: To create a healthy, comfortable computer workstation using deep healing infrared heated computer peripherals. Infrared heat therapy has been around for a long time and used by the Chinese and Japanese for centuries. Simply stated, infrared heat is the deep warmth felt by the sun without the harmful ultraviolet (UV) rays. ValueRays® (valuable infrared radiant heat rays) is the trademark of the Warm-Mouse-Heated-Keyboard.com products. The products have been tested and evaluated by members of various fields including occupational therapy, hand therapy, massage therapy, and by people suffering from medical conditions like arthritis, fibromyalgia, raynaud's, poor circulation, etc. Reports indicate the use of ValueRays infrared heat creates improved blood circulation, reduced stress of daily tasks, and the ability to use the computer for longer periods of time pain-free. The Warm Mouse, Heated Keyboard website offers a variety of programs for its users: an affiliate marketing program, a wholesale program for resellers, a drop-ship program, a link exchange program, product reviews & giveaways, and many other participative programs for consumers, webmasters, and merchants. Plus, the Learning Center at Warm-Mouse-Heated-Keyboard.com provides information for the curious to keep well-informed about the value of using infrared heat at the computer and support for cold hand pain. "We welcome partnerships," said Anna Miller. "We want to create a website where people can come to do more than shop. We offer a small list of products with huge benefits for their users!" ValueRays Warm Mouse - a heated computer mouse. 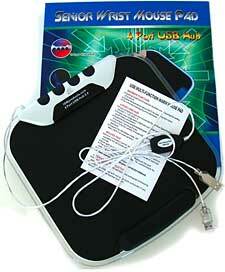 ValueRays Warm Mouse Pad - a heated mouse pad. ValueRays Warm Keyboard Pad - a heated computer keyboard pad. 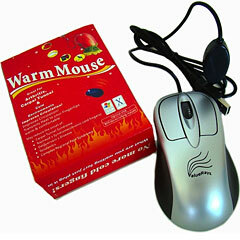 ValueRays Mouse Hand Warmer - a heated hand warmer pouch. 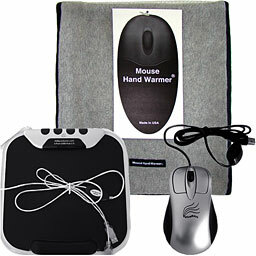 Mouse Hand Warmer (Non-USB) - an eco friendly, USA made, hand warmer. Plus, ValueRays USB Hand Warmer Sets are available at savings when compared to individual prices, shoppers receive free USA shipping & pay no sales tax, and can use coupon code BIZCARD for an extra 5% off their order. Warm-Mouse-Heated-Keyboard.com partnered with Internet giant, Google Checkout, to provide shoppers a secure and confident experience. For more details visit the newly launched Warm-Mouse-Heated-Keyboard.com website. 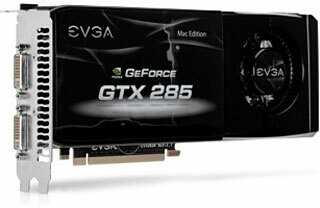 PR: Upgrade to the best graphics performance available with the EVGA GeForce GTX 285 video card for the Mac Pro. The 1 GB of GDDR3 memory and 240 processing cores maximize performance with graphics-intensive applications like 3D gaming, motion graphics, 3D modeling, rendering and animation. 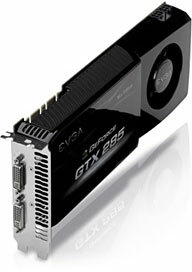 You can use this card to accelerate your Mac Pro system, increase your display resolution, and enable CUDA technology. Apple recommends for running graphics-intensive applications for gaming, graphic design, art-directing, illustrating, web-browsing, photography, video production, and HD-video-watching. PR: DataSlide, the massively parallel green storage company, has announced their embedded architecture and Partnership Network agreement with Oracle. Oracle's Berkeley Database embedded onto the DataSlide storage drive enables third party developers the ability to implement next generation Business Intelligence right onto the storage system. This is a significant step for DataSlide as they move towards productizing Hard Rectangular Drives (HRD). DataSlide's Hard DB fits Oracle's Embedded Global Business Units OEM Charter by incorporating BerkeleyDB into the actual storage device itself (essentially a low energy, cool running, high performance, shock resistant hard drive) to make a 'smart' storage device. The potential applications are many and varied. Examples are TCP/IP based systems and video applications requiring multiple concurrent streams, media indexing, fast positioning, forward, back, skip, scene/track will have significant performance improvements with this winning architecture. "DataSlide's Massively Parallel architecture with 64 heads per surface could saturate a 32 lane PCI express bus" said Charles Barnes, CEO of DataSlide, "The Hard Rectangular Drive HRD has the industry reliability and cost advantages of Hard Disk Drives with superior performance and lower power then Solid State Drives. The HRD is over 60% lower power then HDD and during idle the media has zero power dissipation making it the GREEN storage winner"
Hard Rectangular Drives HRD Architecture DataSlide capitalizes on standard base process technologies to dramatically change how Hard Disk Drives are made. Leveraging mature cost-effective LCD and HDD processes to create an ultra thin massive 2D head array which enables symmetric read and write performance of 160,000 random R/W IOPS with transfer rate of 500 MB/s. DataSlide's revolutionary storage media architecture provides the performance, capacity, cost, power and reliability that Hard Disk Drives and Solid State Drives are striving to achieve. DataSlide's HRD sets a new standard for IOPS/Watt. Hard Rectangular Drives HRD Availability DataSlide is currently in discussion with a number of Storage and System OEMs and can provide more details under a non disclosure agreement. DataSlide will be holding private meetings at the Santa Clara Hyatt Regency from June 22nd through 25th during the Memcon 2009 conference. DataSlide is focused on revolutionizing the storage industry. Bringing together innovation, using standards based mature manufacturing process technologies from LCD, HDD, and semiconductors, the company is developing ultra low power green storage drives with unmatched performance, capacity, reliability, and significant power reduction over traditional disk drive technologies. DataSlide has a seasoned management team from companies like Seagate, Connor, Quantum, Maxtor and HP. DataSlide is a privately held company with locations in United Kingdom, France and United States. DataSlide has affiliations with academia from Carnegie Mellon University/DSSC, Universities of Cambridge, Exeter, Sussex, Sheffield and Brighton in the UK and Paris-Sud in France, and is backed by Angel Investors. PR: Cloud computing and Web-based applications will never be the same. Opera on Tuesday unveiled Opera Unite, a new technology that shakes up the old client-server computing model of the Web. Opera Unite turns any computer into both a client and a server, allowing it to interact with and serve content to other computers directly across the Web, without the need for third-party servers. For Web developers, Opera Unite services are based on the same open Web standards as Web sites today. This dramatically simplifies the complexity of authoring cutting-edge Web services. With Opera Unite, creating a full Web service is now as easy as coding a Web page. Opera Unite is available in a special version of the Opera 10 desktop browser from Opera Labs. Opera Unite services run directly in the browser. Download the Opera Unite build. To start Opera Unite, click the Opera Unite logo in the lower left-hand corner of the browser and log in with your existing Opera ID - the same Opera ID used for other Opera services such as My Opera and Opera Link. Opera Unite will prompt you to register an Opera ID if you do not have one. Now you are ready to use Opera Unite. 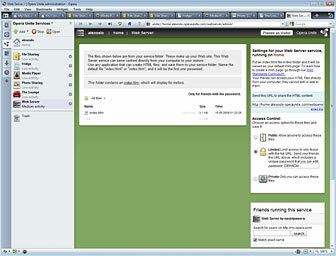 Simply access your Opera Unite services from the Opera Unite panel of the browser. New services can be installed from http://unite.opera.com/. 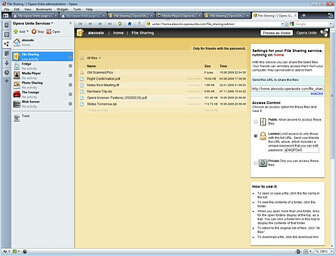 Running a service will give you a direct Web address to the Opera Unite service on your device, for example: http://notebook.jondoe.operaunite.com/photo_sharing/, where "notebook" is the name of the local device serving content, "jondoe" is your username, and "photo_sharing" is the Web service being accessed. That link will also allow others to access the same Web service from your computer through their Web browser. You may also see which friends are using Opera Unite services on your My Opera Unite home page. These six services represent the beginning of what is possible. Web developers can unleash their creativity to design unique Web services and, in doing so, unlock the full potential of Opera Unite. "Today, we are opening the full potential of the Web for everyone," said Jon von Tetzchner, CEO, Opera. "Technology moves in distinct cycles. PCs decentralized computing away from large mainframes. Opera Unite now decentralizes and democratizes the cloud. With server capability in the browser, Web developers can create Web applications with profound ease. Consumers have the flexibility to choose private and efficient ways of sharing information. We believe Opera Unite is one of our most significant innovations yet, because it changes forever the fundamental fabric of the Web." When you have finished your new Opera Unite service, just upload it to unite.opera.com and share it with the world. PR: World-class solutions are critical to the day-to-day needs of medical and dental professionals alike. From advancements in medical and dental treatments and procedures, to the latest equipment and tools, physicians and dentists rely on technology advancements in order to provide patients with superior care and quality. MacSpeech knows the importance of world-class medical tools that epitomize quality, craftsmanship, innovation, and technological advancement, and has introduced MacSpeech Dictate Medical, the Macintosh speech recognition solution for medical and dental professionals. MacSpeech Dictate Medical offers Dictate's legendary accuracy, with a claimed accuracy rate of up to 99%. Moreover, MacSpeech Dictate Medical NEVER misspells a word, so typos are a thing of the past. Its advanced capabilities require only a few minutes of training as it learns your voice, and with continued usage MacSpeech Dictate Medical gets even more accurate. MacSpeech Dictate Medical understands and supports more than 54 medical and dental disciplines and specialties, including General Medicine, Cardiology, Dentistry, OB/GYN, Pediatrics, Pediatric Dentistry, Radiology, Neurology, Oncology, Psychiatry, Urology, Internal Medicine, Ophthalmology, and many more. MacSpeech Dictate Medical also recognizes 13 distinct English dialect variations for exceptionally strong recognition, and works with applications you already use. Word processors, medical and dental database applications, spreadsheets, page layout solutions, email apps, chat programs, graphics applications, Apple's iWork and iLife, and many others, including most text documents created by other applications., which translates into increased productivity and time savings. MacSpeech Dictate Medical helps make light work of challenging tasks. It lets you easily spell words and acronyms; edit and navigate text documents, including those created with other applications; and much more. Its onboard Vocabulary Editor lets you train individual words and even add new ones such as proper nouns, giving even greater control over how it recognizes your speech. 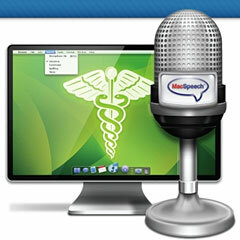 MacSpeech Dictate Medical sells for $595, which includes a certified, noise-canceling microphone headset. You may choose a different high-quality microphone, including one of the wireless options, during order checkout. To purchase at the crossgrade discount price, you must be a registered user of MacSpeech Dictate 1.5 or earlier. MacSpeech Dictate Medical is available today in the US, and will soon be available in Canada, the UK, Australia, and India. Check your local retailer for availability details. 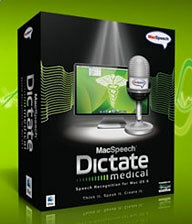 MacSpeech Dictate Medical can be purchased directly from the MacSpeech website. PR: Remote Mouse was developed to let users use the little white remote that may have been delivered with your computer to move and click the mouse. Remote Mouse is $10 shareware. 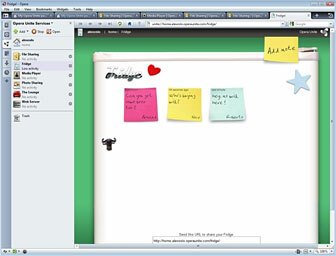 A demo mode is provided to let the User try the application for ten launches before registering. When you click an remote button, the Control Panel window displays "Signal Detected" for 400 ms. If you double-click a button during this short time, the mouse will move one Step Size (vice 5 pixels). The default Step Size is 25 pixels but you can change this using the Step Size menu bar. Double-click a button to move the mouse one Step Size. Multiple-click a button to continue to move the mouse that many times. This allows you to get quickly from one place to another on the display. The Control Panel window location and the Step Size are saved between sessions. When you launch Remote Mouse, you see a small Control Panel window. Drag this window somewhere out of the way on your display. Click the "play/pause" button to click the mouse. Note: Do not click on the "menu" button which will bring up the Front Row application. If you click on this button by mistake, just click on the keyboard "Esc" button.